People who tend to swear more could be more honest and trustworthy with their opinions and ideas, a new study has shown. An international team of researchers looked in-depth into the behaviour of people who use more profanity on a daily basis than an average person. They looked to understand the psychology behind the use of profane words including taboo and swear words, which in regular social settings are considered inappropriate and in some situations unacceptable. The three-part research paper, studied 276 people for their use of sexual references, blasphemy, objects eliciting disgust, ethnic–racial–gender slurs, vulgar terms, or offensive slang in general speech. The international team of researchers asked the participants to list their favourite swear words and to "self-report" their everyday use of profanity. Researchers also asked the subjects to note down the emotions they associate with those swear words — anger, exasperation or fear for example. The test included questions like, how often do you curse while talking face to face with another person, in private when no one is around and in the written word, like text messages, E-mail and so on. They were asked to give these questions a number from one to 10 based on how often they thought they used vulgar language with one being never or very rarely and 10 being at least a few times a day. The test subjects were also asked to fill in a psychological survey called a lie scale to help the team gauge their perceived and actual honesty levels which helped rank the test group. The Lie scale included a list of questions like ‘"If you say you will do something, do you always keep your promise no matter how inconvenient it might be?’" and "Are all your habits good and desirable ones?" In this study, a series of positive answers are considered unrealistic and therefore most likely a lie. The same scale was reversed for to measure honesty. The team found that those who lied less in their day to day life showed a direct correlation to a much higher number of frequently used swear words. People who swear more in ways that are not hurting to another person but just an outburst of emotion, showed a much lower tendency for potentially harmful forms of violent behaviour and lying. This was because swearing let other people know about a persons’ mental and emotional state, reducing the need to lie to convince others of a reality that was constructed. People who did not have these occasional outbursts could suppress their true feelings by lying and convince themselves that these are white lies. These "social lies’" are an excuse people use to validate lying to appear more desirable or positive in a social setting and mask how they really feel, in order to be accepted or avoid uncomfortable situations. The researchers note, however, that studying profanity can be tricky. They say their perceived rate of profanity use decreased when people knew they were being analysed. To overcome the limitations of not observing the subjects in their natural setting, the researchers turned to the millennial way of investigation, social media stalking. 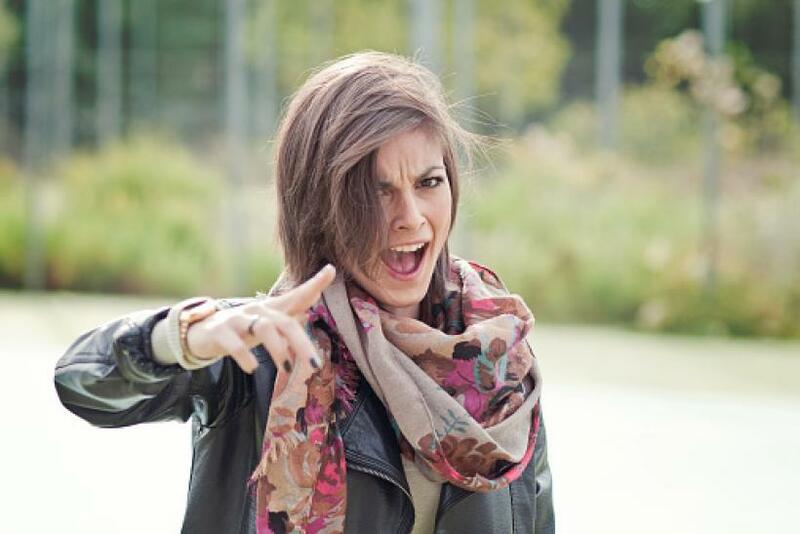 Using earlier studies that showed a direct relation between profanity in social media posts to real-life swearing the team plotted a more accurate portrayal of a user’s personality. Around 70,000 Facebook profiles were analysed with the team focusing on the presence of profanities and other signifiers of honesty online. The team plotted a relation between honesty and profanity and also gave a comprehensive chart of state-wise profanity levels and the integrity displayed by citizens. 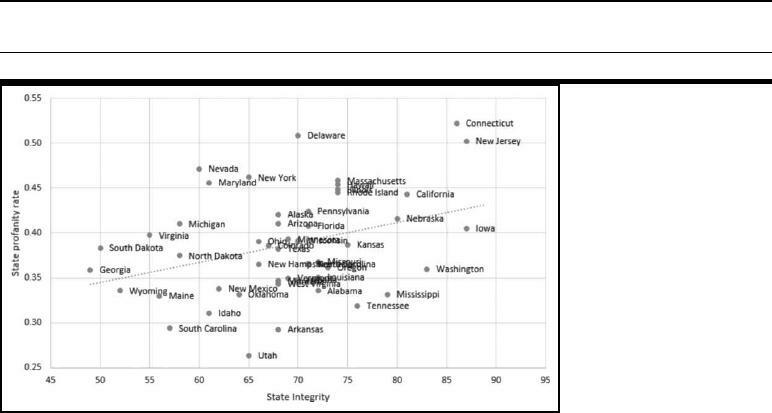 It showed that states where people swear more, tend to be more honest with their opinions in general conversations and online. 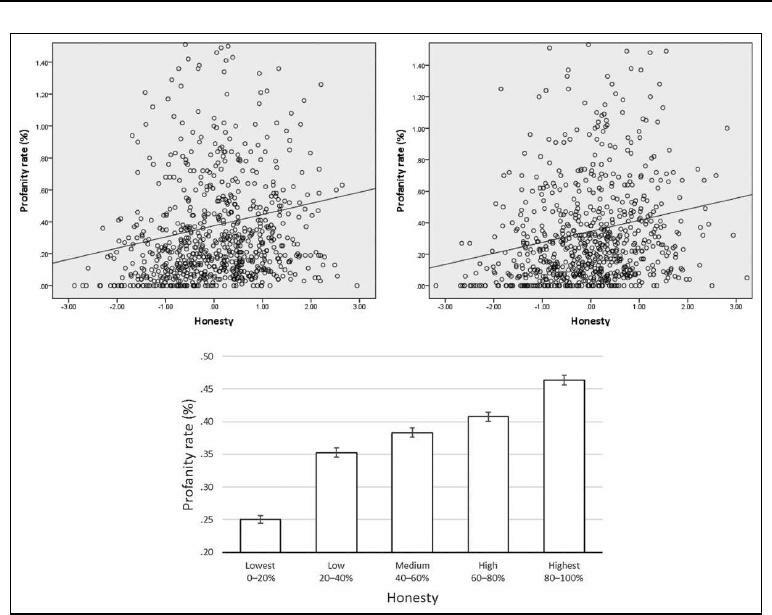 Calculating honesty levels will always be a gray area of study but they hope that this study will form the first, sure steps into understanding why some people choose to lie to get out of a tough spot or manipulate others. The team feels that their experimental methods will pave way for future research in this field. The study was published in the Social Psychological and Personality Science journal and was done by an international team led by Gilad Feldman of Maastricht University in the Netherlands.